With every new year comes the opportunity to reflect and anticipate what you want the next year (and beyond) to look like. You may even create a list of lofty goals and brace yourself for the looming sacrifices that will have to be made to achieve those milestones. This process can, however, be much more pleasant if you shift and redirect your thinking. Instead of thinking about what you have to give up, you should instead visualize those achievements actually coming to fruition. Envisioning can be a powerful tool in turning your dreams into reality. Sound silly? Not really. According to a study conducted by TD Bank, https://www.forbes.com/…/survey-shows-visualizing-success…/…visualizing success (often through a Vision Board) does in fact work. Imagining attainment of the things you want most in life will quickly turn into reality when it becomes a part of your awareness, and the best way to do that is to create a visual reminder that helps keep your eyes on the prize. Creating a Vision Board is one of the most effective (and fun) ways to manifest your vision as it serves as a constant reminder of the goals you want and plan to achieve. Meaningful images and mantras in your daily line of vision gradually become an energy source and ultimately evolve to become part of your subconscious awareness. When this happens, you will find yourself focusing on the specific things that you want to attract and will begin to take the actions needed to attain them. The trick of course is to stay positive as negative thoughts can often derail your plans. 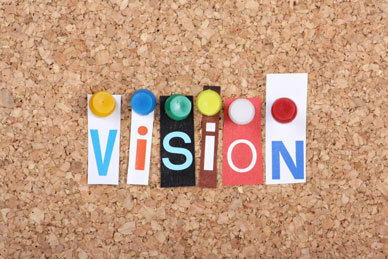 Your Vision Board is your creation and there is no “perfect” way to create one. There are a few steps however that can help you to design the one that is most meaningful to you. Start envisioning. Begin to list all of the things that you would most like to achieve and acquire in all areas of your life and keep in mind that the sky is the limit! For example, you may ask yourself, “What position do I want next in my career?” What does my dream home look like?” “What types of relationships do I want to nurture?” “How do I want my body to look and perform?” What places do I want to travel?” These are the first steps in the envisioning process. Be sure to focus on the things or places that you want most in your life – not on the things you don’t. You attract what you think so again, only positive thoughts please! Find your visual inspirations. This is the fun part. Refer to your vision list and find those images that best represent what you want. The sources can be from any medium. Pursue through magazines or online images and stock photos. Websites like Pinterest and Google images are loaded with ideas. Be sure to include meaningful words or inspiring quotes. Compile visual prompts that speak directly and powerfully to you. Create your own custom Vision Board. Decide the size of your board (some may like a giant easel of images while others may prefer a smaller 8x11 framed version.) Some may be ultra creative and turn theirs into their tablet’s wallpaper. This should be your personal preference and should include any aesthetic that will have you looking at it daily. Arrange the images in a way that is pleasing to your eyes. Be sure to add a mantra of your best self and place that squarely in the middle. For example, if you want to supervise your team, physically document the following affirmation: “I am managing my team with great success and positive energy.” Documenting these goals is the best way to affirm them as you are creating a contract with yourself to move toward these changes and outcomes. Formulate a plan of action. While envisioning is a great way to galvanize your goals, it is equally important to map out a plan that outlines the stages that will culminate toward your final goals. By strategically planning your next steps, you are in effect getting closer to making your goals a reality. For example, if your dream is to rise to the next level of management, you must first research what the prerequisites are to get you in the running. If it involves taking a class or working on a special project, then map out that plan and take the first steps to tackle it. Be in a state of constant gratitude. Always be grateful for the things that come your way. Every material and non-material success we achieve is a gift. Expressing gratitude for these gifts energizes the Universe and strengthens our vibrations to receive more of the same. Be sure to share your good fortune with others. It doesn’t need to be material and some of the most rewarding gifts are time, support and a listening ear. What are my ultimate goals and/or vision? If I don’t already have a clear vision, am I working toward creating one? What would make me the most satisfied professionally? Personally? Financially? Do I have a clear sense of my ultimate goal? Do I run it through my mind on a continual basis? Do I actually envision myself living my dream? What am I doing to achieve my ultimate goals? Does it seem to be working? If not, how can I redirect? Do I seem to be moving in the right direction? Or do I experience reoccurring setbacks? What are some approaches to stay positive? How have I assisted others with their goals and dreams and how has this helped me? Am I grateful of where I am thus far? How do I express this gratitude?